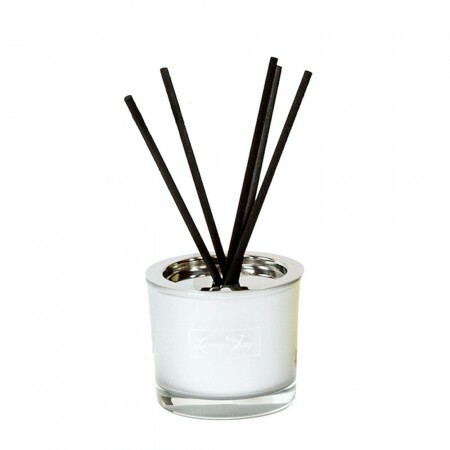 Elegant round lacquered glass diffuser with metal lid and black rattan sticks, packaged in a silk screened box. This fragrance combines orange, mango, raspberry and vetiver for sweet and fresh atmosphere. 200 ml bottle by Les Lumieres du Temps.